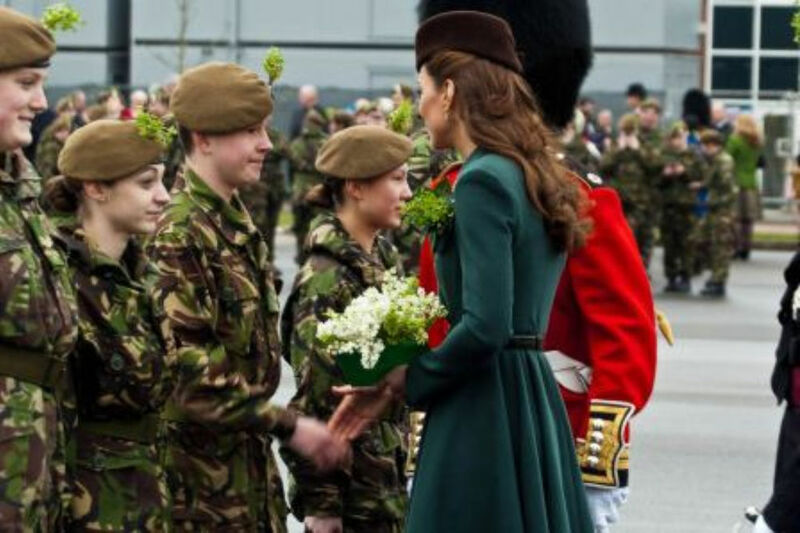 When Her Royal Highness The Duchess of Cambridge visited Mons Barracks in Aldershot to present shamrocks to members of the Irish Guards on St Patrick's Day, she also had the opportunity to meet some Army Cadets whose own units are badged to the Regiment. In total some 80 Army Cadets attended the event and Her Royal Highness met 10 of them. The cadets were drawn from Bedfordshire & Hertfordshire Army Cadet Force, Greater London South East Sector Army Cadet Force and The London Oratory School Combined Cadet Force. Doubtless it was a day they will never forget.